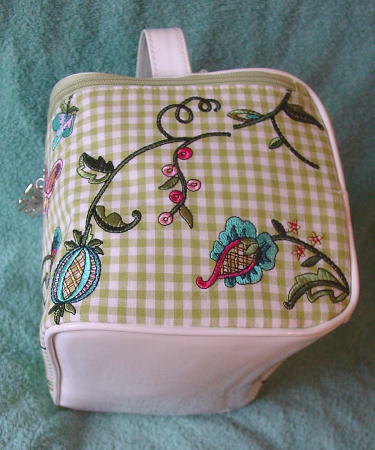 This never-used lime green and white gingham fabric toiletry case is an Americana by Sharif. You can even carry it as a purse. 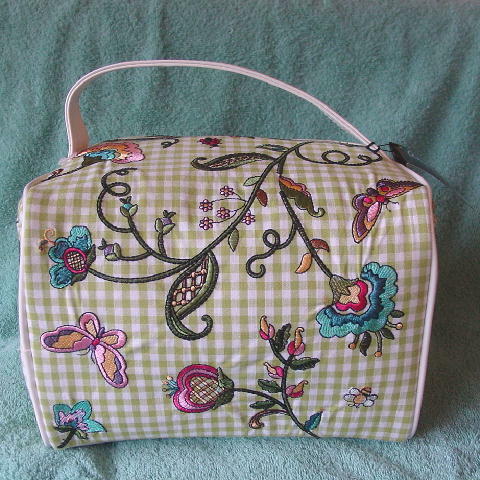 It has a white faux patent handle (11 1/8" long by 1" wide) and bottom. The front, back, top, and sides have an embroidered floral and butterfly design in greens, blues, pinks, gold, brown, silver, and purple. 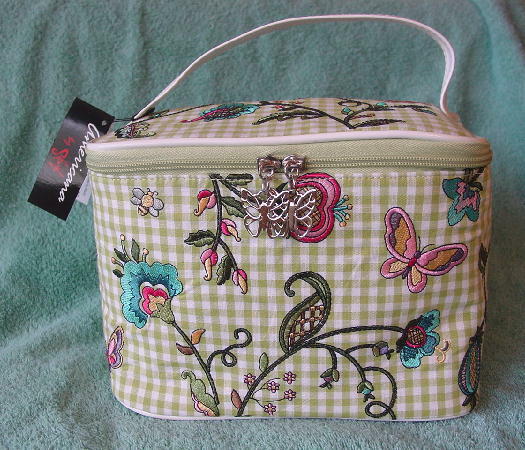 There is a top zippered opening with two silver-tone metal butterfly zipper pulls. 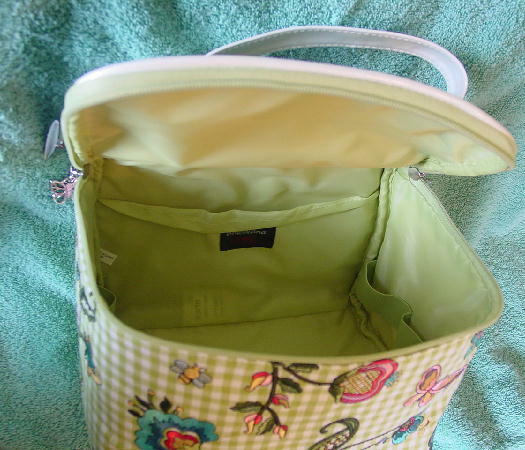 The interior has a lime green fabric lining and the lower left and right sides have a lime green elastic strap to hold little containers, and the back interior has a large pocket. We also have a compatible piece for sale.